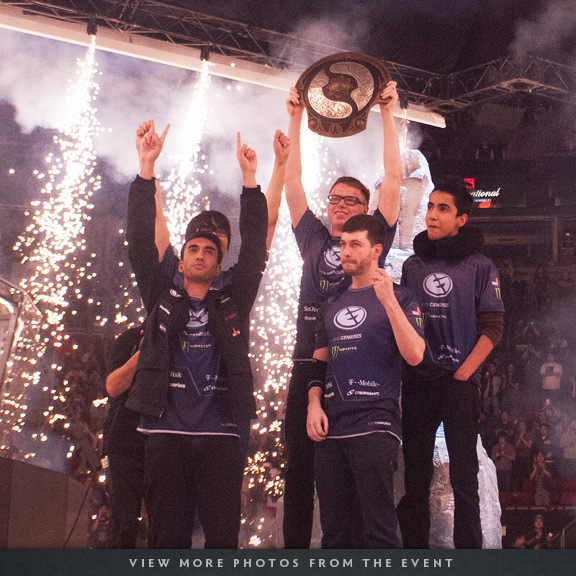 Congratulations to Evil Geniuses, Grand Champions at The International 2015. It’s been a long road for the victors. Battling in the Group Stage, Evil Geniuses secured a top position within their grouping. However, at the same time, the underdogs of CDEC Gaming were making a name for themselves. A runner-up at the China Qualifier, CDEC fought their way into the tournament through the Wild Card, and were ultimately tied with Evil Geniuses by the end the Group Stage. At the Main Event, CDEC dominated the upper bracket, winning every match, eventually knocking Evil Geniuses to the lower bracket to advance to the Grand Finals. In the final day of The International, Evil Geniuses beat LGD Gaming to earn their way to the Grand Finals through the lower bracket, securing a rematch against CDEC Gaming in the process. In the Grand Finals, CDEC’s win streak finally came to an end. As the dust settled, it was Evil Geniuses who stood triumphant, defeating CDEC Gaming 3-1. There were more great stories and incredible games at The International than we can possibly recount. If you’d like to relive the action, head to The International site, where you’ll find replays for every game. You can also check out photos and videos from the event on Flickr and at our media page. We’d like to thank all of the teams, and everyone in the Dota community for helping to bring year’s tournament to life. Like you, we look forward to The International every year, and without you this amazing event wouldn’t be possible.